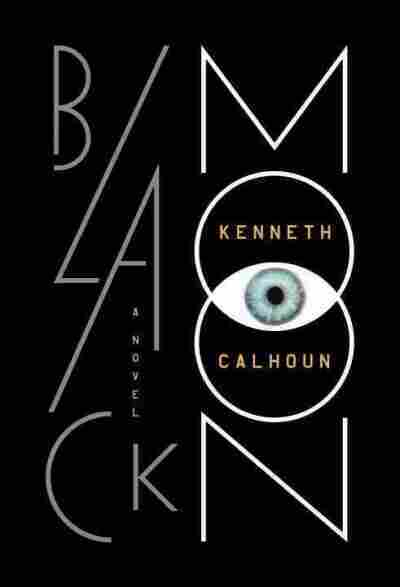 Book Review: 'Black Moon' In Kenneth Calhoun's debut novel, no one can sleep — and the insomnia's driving people crazy. Reviewer Jason Heller says Black Moon isn't just another spin of the post-apocalypse plot wheel. 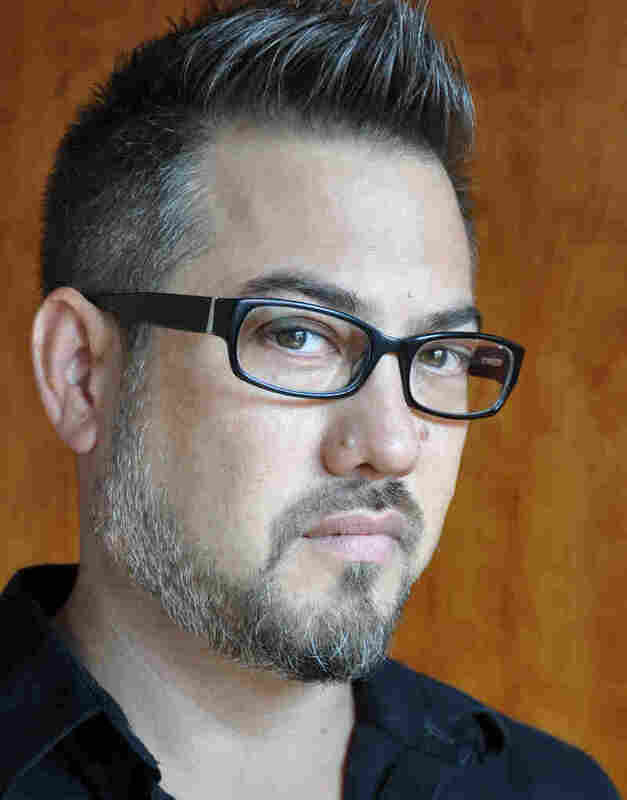 "It was a great time for storytellers," says Matthew Biggs, the central character in Kenneth Calhoun's haunting debut novel, Black Moon. The irony of his comment comes with a horrific aftertaste: The world is suffering from a sudden, unexplainable pandemic that's made everyone a perpetual insomniac. Biggs is one of the few who can still sleep. Humanity's state of chronic wakefulness has caused mass insanity — in the noonday sun, dreams overflow and chaos reigns. Biggs quips that it's a great time for storytellers because "the sleepless, in their total exhaustion, quickly lost their ability to distinguish fact from fiction." Not that anyone has the luxury of stories anymore. In Black Moon's nightmarish tableau, the sleep-starved have been reduced to little more than feral, zombielike husks — the waking dead, if you will — who speak in garbled syntax and brutally assault those they catch sleeping. And their perception has become distorted, as if shards of their latent dreams were forcing themselves out like splinters. Biggs, who beds down each night in a nest he's made in a park thicket, must hide his ability to sleep from Carolyn, his increasingly violent and delirious wife. When she disappears, Biggs sets out to find her — even as a teenage girl named Lila runs away from her parents in order to save herself from their murderous impulses, and a young man named Chase embarks on a would-be heroic quest to find his ex-girlfriend Felicia. But Black Moon isn't just another spin of the post-apocalypse plot wheel. Many authors have tackled the mystique of sleeplessness — but few have done so with the grotesque grace and poetic insight of Black Moon. As the characters' isolated journeys begin to dovetail with one another, their struggles congeal into an overwhelming whole. A vignette in which Jorie and Adam, Biggs's insomnia-stricken in-laws, neglect and then abuse their infant child is as bone-chilling as it is delicately lyrical. It's made all the more atrocious by the implication that reason is merely a ritual, and that brutality lurks just under the skin of civilization. It isn't all grim. Calhoun shoots Black Moon through with tenderness and muted humor. After trying his hand at becoming a drugstore cowboy, Chase mistakenly downs too many erectile-dysfunction pills — and winds up spending a large portion of the book with an unquenchable hard-on, a bit of comic relief that turns absurd, then sickening as it comes to reflect the perverse wakefulness that surrounds him. And Lila's habit of wearing a school mascot's giant owl mask as she wanders the perilous landscape seems at first like a quirky, Wes Anderson-esque affectation; before long, though, its totemic power builds into something heart-wrenchingly resonant. Animals form a large part of Black Moon's rich symbolism, from the flock of sheep Chase tragically hijacks to the creaturely figurines arranged on Felicia's desk. But as fine and vivid as Calhoun's detail is, he zooms outward just as deftly. When a group of researchers devise a medical implant that may return the precious gift of sleep to the sleepless — but only in strictly predetermined, three-hour shifts — the equilibrium between freedom, law, and fate is yanked unsettlingly off center. It's as close to science fiction as Black Moon gets, and it's stronger because of that respectful proximity. Calhoun's biggest ideas, though, concern perception. His prose-rich passages of hallucinogenic abandon aren't psychedelic — they're razor-sharp. And they reflect a far more staggering truth: The breakdown of society doesn't happen when people can no longer agree on what's right or wrong. It happens when they can no longer agree on what's real. After having bitterly commented on storytellers, Biggs ultimately becomes one himself as those who have been given implants hunger to hear about his dreams. Black Moon is a story about storytelling, and how fiction is as vital to our biology as oxygen. At its heart, though, it's about people: their marriages and miscarriages, their mechanisms and memories, and the vivid images of regret, alienation, and bleary-eyed hope that visit in the midst of an insomniac night. Only in Black Moon's case, broad daylight can be just as blinding.